Marlin Green built his practice on understanding his clients’ goals, and developing strategies to ensure that goals are achieved. All while ensuring his clients are thoroughly advised so they can move forward as partners in the litigation process. Mr. Green has a diverse, defense oriented practice, which includes Commercial Litigation, Healthcare Liability, Products Liability, Personal Injury, Construction, Premises Liability, Insurance, Employment, and Maritime Law. Mr. Green has taken multiple cases to jury trial. Most recently Mr. Green secured a defense verdict in the United States Virgin Islands in a case involving alleged significant cervical injuries suffered by a 62 year-old female passenger aboard a local ferry boat. Plaintiff’s settlement demand was $900,000.00 at mediation, and Plaintiff never moved from that demand. After four days of trial, the jury deliberated less than two hours before finding the Plaintiff did not suffer a cervical injury based on a history of cervical injuries uncovered by Mr. Green despite Plaintiff’s effort to conceal same. Mr. Green earned a Bachelor of Arts in Political Science in 1995 from Florida State University. Mr. Green also earned a Bachelor of Science in Communications in 1996 from Florida State University. 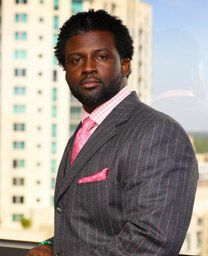 In 2000, Mr. Green graduated from Florida State University College of law with Honors. As a member of the Florida Bar, Mr. Green practices in state courts throughout Florida. Mr. Green is also admitted to practice in the Middle and the Southern District Federal Courts in Florida. Mr. Green is a member of the Defense Research Institute, the Wilkie D. Ferguson Bar Association and the T.J. Reddick Bar Association.